Leonardo da Vinci (1452–1519) was one of the pre-eminent figures of the Italian Renaissance – he was also one of the most paradoxical. He spent an incredible amount of time writing notebooks, perhaps even more time than he ever held a brush, yet at the same time Leonardo was Renaissance culture’s most fanatical critic of the word. When Leonardo criticized writing he criticized it as an expert on words; when he was painting, writing remained in the back of his mind. In this book, Joost Keizer argues that the comparison between word and image fuelled Leonardo’s thought. The paradoxes at the heart of Leonardo’s ideas and practice also defined some of Renaissance culture’s central assumptions about culture and nature: that there is a look to script, that painting offered a path out of culture and back to nature, that the meaning of images emerged in comparison with words, and that the difference between image-making and writing also amounted to a difference in the experience of time. ‘This is an intelligent and thought-provoking study of Leonardo’s thoughts. Informed by his deep immersion in Leonardo's notebooks, and in the intellectual debates of the late 15th century–early 16th century, the author presents an original, highly personal, and often convincing interpretation of Leonardo’s idiosyncratic views on the relationships between word and image, and between Nature and Culture. The text is always learned but never pedantic, and written in an engaging style. 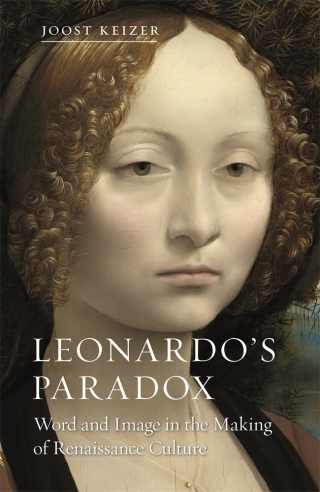 If you want insight into what made Leonardo tick, his interests, points of reference, stated views, and thought processes, I would recommend this handsome volume.’ — Jonathan K. Nelson, Syracuse University, Florence. Joost Keizer is Senior Lecturer in Art History at the University of Groningen. His previous books include The Realism of Piero della Francesca (2017), The Transformation of Vernacular Expression in Early Modern Arts (co-edited with Todd Richardson, 2011), and a book for young adults, This Is Leonardo da Vinci, with the illustrator Christina Christoforou (2016).